We are grounded in the love of God, guided by the teachings of Jesus Christ, and moved by the power of the Holy Spirit. We gather in community to worship, help one another grow in faith, and uphold one another in love. We are Presbyterians who welcome people of other or no faith background and who believe that the Gospel requires us to love our neighbors as we love ourselves. We are Christians who believe that we are called to be one body in Christ, despite any differences among us. We are a More Light Church, and we welcome everyone, regardless of any earthly condition, to join us as we glorify and enjoy God; work for a more peaceful and just world; and seek to serve God, humanity, and creation with energy, intelligence, imagination, and love. 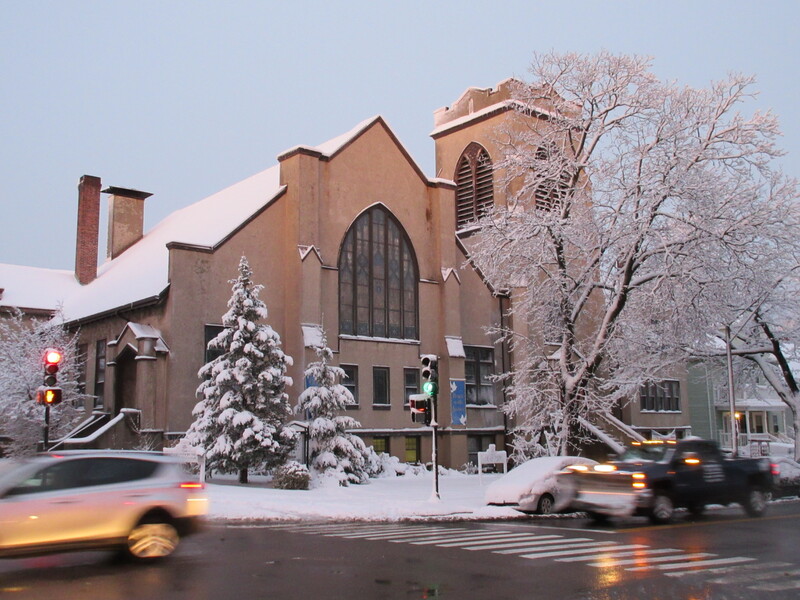 Clarendon Hill Presbyterian Church (CHPC) has a rich heritage benefiting from the merger of three churches: the original St. Andrews Church of South Boston, the Union Square Church of Somerville, and the Trinity Church of Somerville. We have been in our current location, near Tufts University, since the 1920s. We are proudly Presbyterian, with roots in the Reformed tradition, and we seek to be a relevant presence in our community. We value Bible-based preaching that helps us understand how to live more faithfully as Christians in a secular world. Our church is a center for learning, sharing, and living our faith. Having a church family and raising children in a spiritual home are important to us. Diversity is a gift we celebrate and welcome. We differ in age, country-origin, life experience, education, profession, politics; theological background and ideas; mission preferences and priorities. We come from local neighborhoods, Great Boston, and the wider world. Our community is composed of students, singles, couples, families; high school grads and PhD’s. Some gather strength from traditional hymns and expressions of faith; others are open to new interpretations. We range from King James Version to Inclusive Bible. We are one in Christ. We cherish our warm, respectful, inclusive, non-hierarchical community where each person’s contribution is important. The Bible calls us to be one in Christ; therefore, inclusivity is at the center of our ministry. We value the opinions of those with different backgrounds and faiths. Our members come from diverse places and hold different opinions, but we are all committed to loving God and our neighbors and to learning from those around us. All are welcome in our services and at fellowship events. Our Communion table is open to all who are drawn to it, regardless of denominational affiliation. Click here to see our Statement of Inclusion. Clarendon Hill is part of the Presbyterian Church (USA). Click here for more info. We worship at 10:30 on Sunday mornings. Worship is the heart of our community life. We gather to pray together, hear the Word and explore its meaning for our time and place, and nourish each other in faith. We welcome people of other or no faith background. Click here for more information about worship. We help people explore their relationship with God through Bible reading and teaching, and through thoughtful reflection in an open, loving, and inclusive atmosphere. Click here for more information about some of our adult education and faith-building activities. We believe in witnessing through our actions, and mission is important to us. Click here for more information about some of our recent mission activities. There are various fellowship opportunities to help us get to know one another better. Click here for more information about fellowship and click here for more information about upcoming events.